Basal cell carcinoma (BCC) is the most common skin cancer. Millions of people are affected each year. It is also the most common overall cancer diagnosed in the United States.  BCC is caused from sun exposure through the years. Fair-skinned people are at higher risk, but the cancer can occur in anyone. Tanning bed use increases the risk of BCC. Patients most commonly describe the cancer as a “pimple that won’t go away” or a red bump, scaly patch or area on the skin that does not heal. Bleeding and crusting may occur. 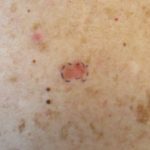 An infiltrative subtype of basal cell carcinoma (often harder to detect) may start as a “scar-like” area or an area with a texture or color change. As basal cell carcinoma slowly grows, it destroys normal skin and can invade any tissue in its path, including cartilage and bone. 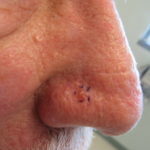 Basal cell carcinoma rarely metastasizes, or spreads throughout the body. 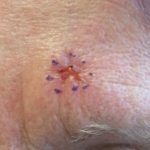 The only definitive way to diagnose basal cell carcinoma is a skin biopsy. Once the diagnosis is confirmed, your doctor will discuss the various treatment options with you. Once you have one skin cancer, you are at risk of developing more skin cancers. Self skin examinations are recommended monthly. Sunscreen use and sun protection practices are highly recommended. You should see your dermatologist at least annually for routine skin examinations.